I've been hitting up the thrift stores & antique shops a lot lately. How cute is this antique mini wagon? Jude just loves to pull his toys around in it. My mom also picked up that animal crackers bin for Jude's room. so cute! Oh man do I love that Fujikawa book! 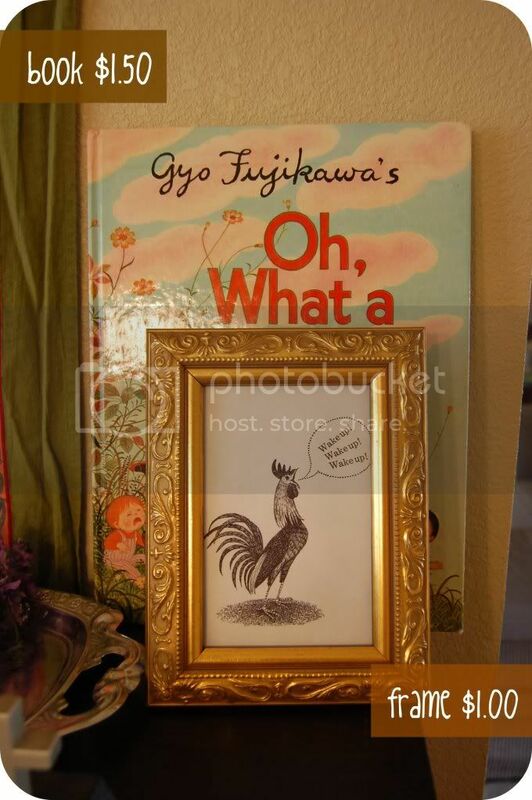 I picked up that frame at Goodwill for $1 and just copied one of the pages from the book & framed it. I also picked up a handful of random frames to be spray painted. Are you guys sick of hearing about Jude's room yet but not seeing any pictures? Yeah me too. I promise, it's coming. Think how poor Jude feels! Aren't thrift stores amazing? I need to take the car from hubs when he goes to ork so I can go explore our new stores! I have a spray paint project up my sleeve too. 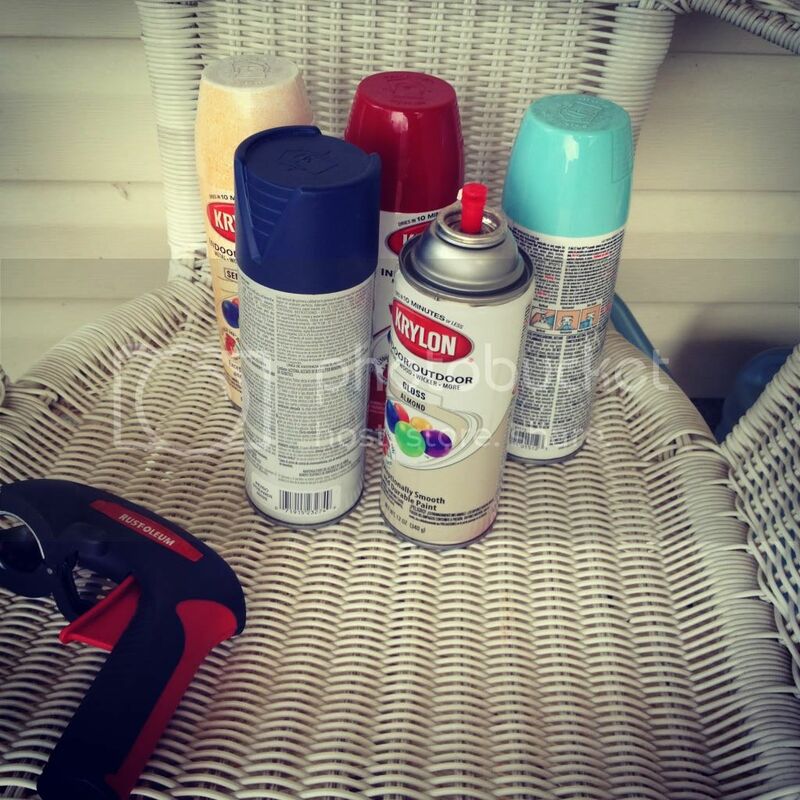 Yay thrifted objects + spray paint! Aww. 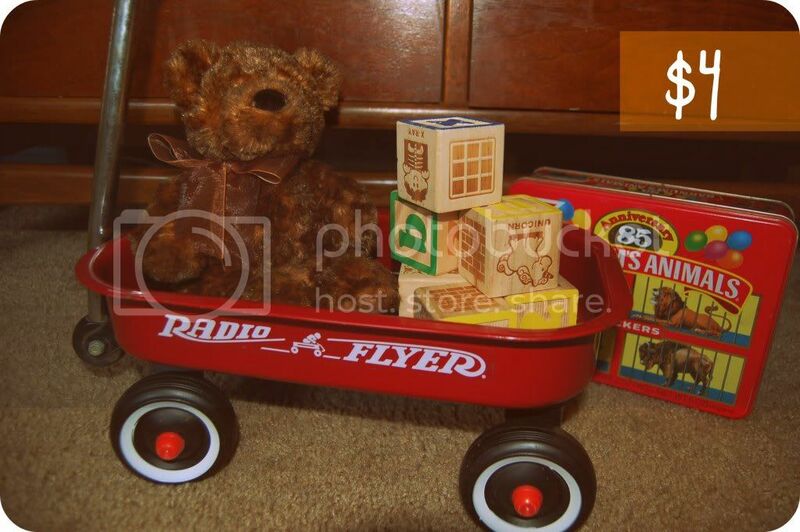 I've been looking for a Radio Flyer wagon (full size, but the mini wagon is pretty adorable, too) and blocks. I love that animal cracker tin. Great finds. Wow, a radio flyer wagon for $4? What a steal!! Even if it is mini! Love all your finds! Thrift stores are the best! I looooove the animal cracker tin, like a LOT!